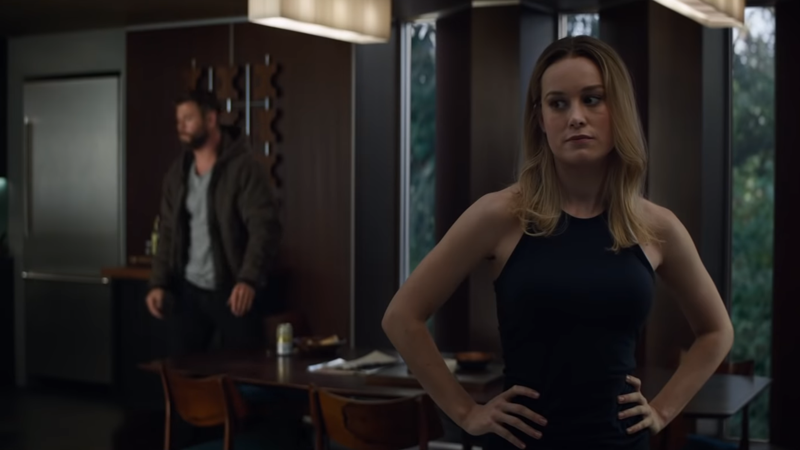 Chris Hemsworth and Brie Larson in Avengers: Endgame, maybe trying to figure out just what is happening in the script around their lines. A movie as bold and intriguing as scope as Avengers: Endgame—the culmination of plot threads, character arcs, relentless post-credit teases, and actor contracts across over a decade of blockbuster film making—naturally invites with it the hushed procedure of secrecy. But that doesn’t just apply to avoiding leaks: it applies to its stars. The cast of Avengers: Endgame has long made clear the pressure, both jokingly and realistically, of having to maintain the utmost secrecy of making the film. At times that pressure is about the absurdity of it, as they go on a press tour for a movie where they can say even less than you can usually say on a blockbuster press tour. At times, it’s about the unity such a weird experience has forged among them. It’s funny, I feel like a fan of this whole thing as much as anyone else, and I’m interested to see if I live or die or what happens to me. I have a rough idea of what happens, but no, I have not seen the film and I really do not know how it ends. An actor is never really going to have a full context of the film they’re making until they see that final cut, of course—that’s just the editing process, that’s how moviemaking works. Things change, things can get swapped around, what might have been shot with one intent could be chopped up and fixed around to be used in another context. But with something like Endgame, it seems to go so much further beyond that, in order to keep as little information about the film from getting out into the hands of eager, speculation-driven fans in advance as possible. For these actors, it’s like only helping to build one piece of the puzzle, without having any idea of what the shape of your puzzle piece is, how many other pieces there are, or hell, what the puzzle is even a picture of. The puzzle piece is less of a puzzle piece in that way and more of a bizarre, contextless mush. What is it even like to have to film like that? 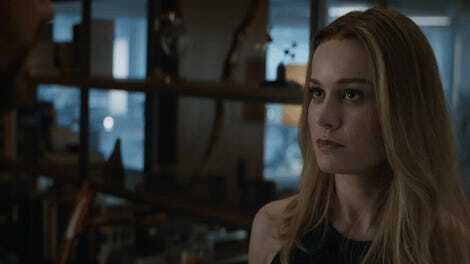 We’ll find out soon enough—as will stars like Larson and Hemsworth—just what secrets all those puzzles will reveal when finally put together, when Avengers: Endgame hits theaters April 26.